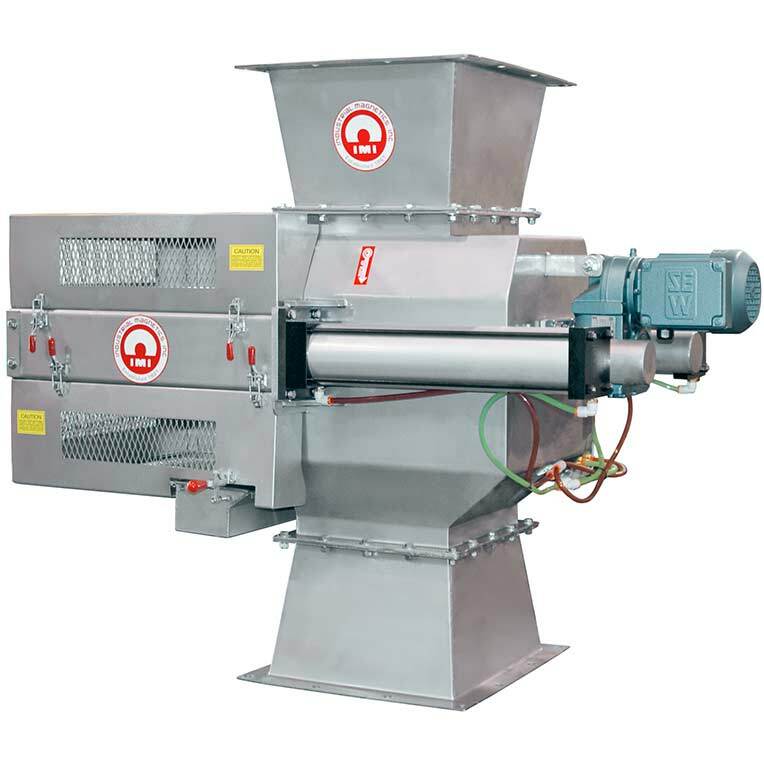 The RotoDrawer™ is a rotary style Drawer-In-Housing Magnet to rid ferrous metal from powder & bulk processed products that have difficult flow characteristics and a tendency to bridge and choke when using traditional, stationary tube style magnetic separators. 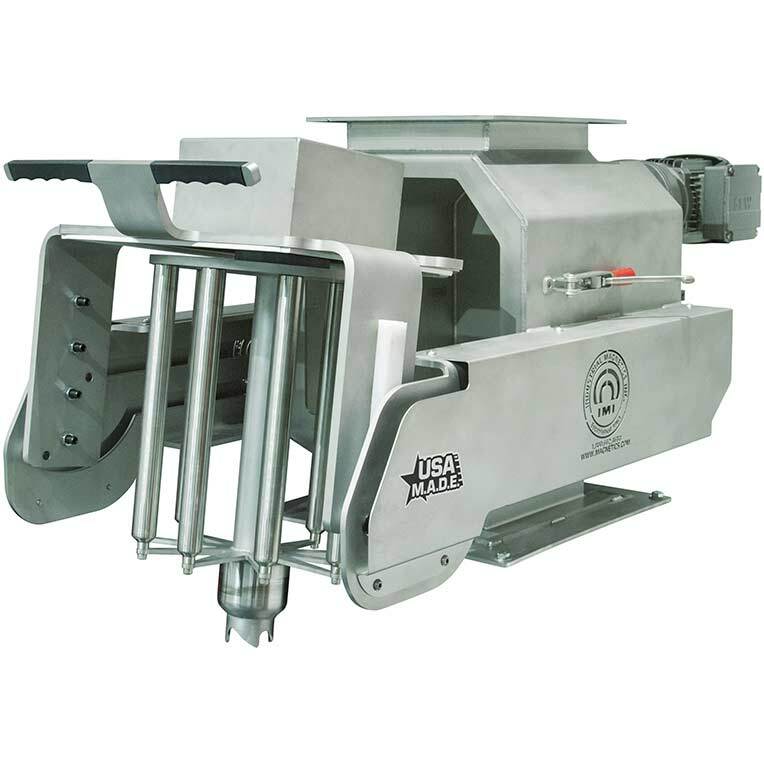 The magnet is ideal for products that have a higher moisture content or particle size, such as flours, cake mixes or corn starch, and require a high degree of product purity. 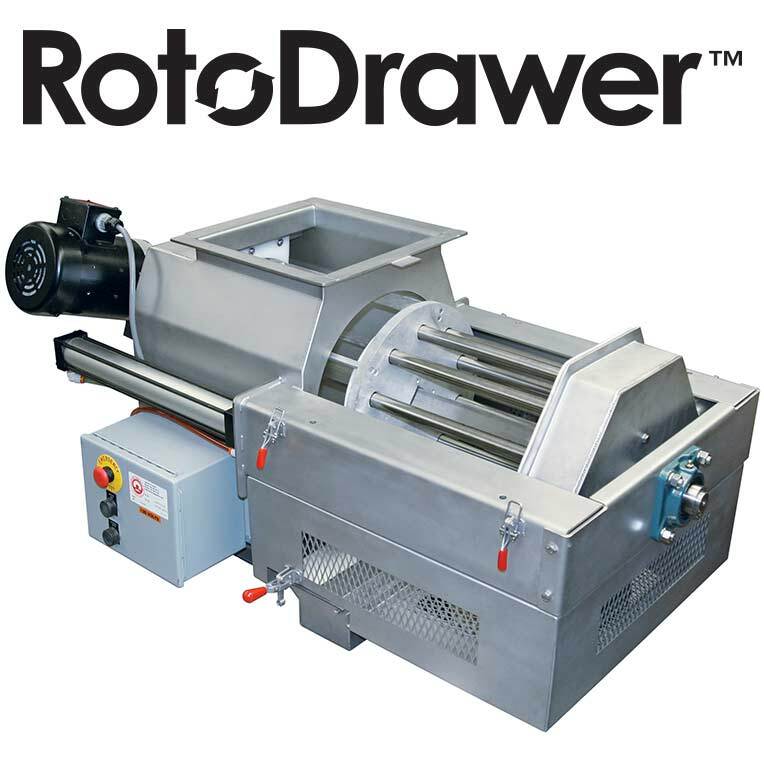 IMI's Rare Earth RotoDrawer™ is available in two different cleaning styles. Our new SimpleClean™ model features an innovative design that makes it easy for the operator to perform routine cleaning of the magnet. 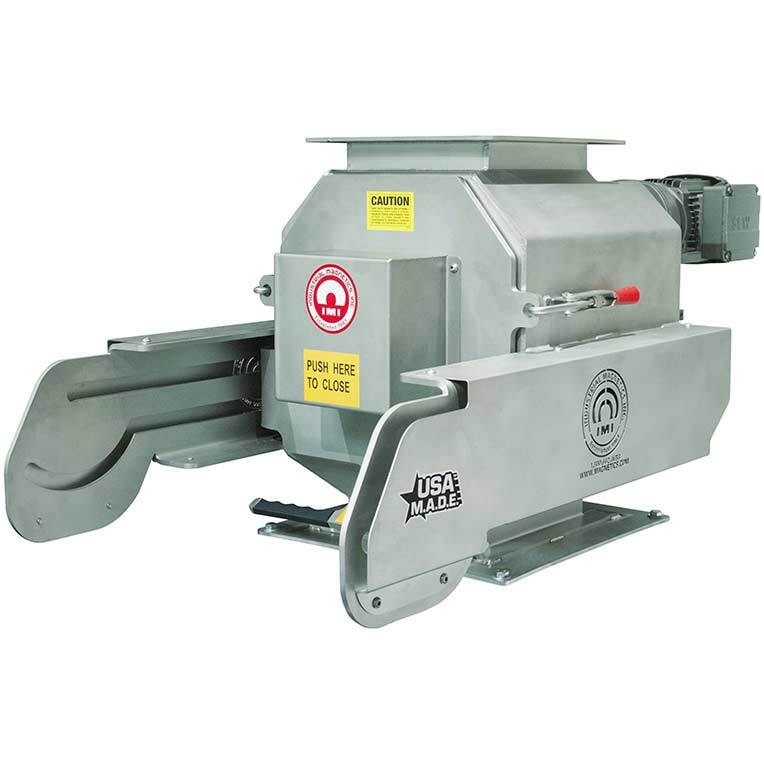 The magnetic drawer glides open and rotates into vertical orientation for easy removal and disposal of captured metal, preventing recontamination in the processing line. 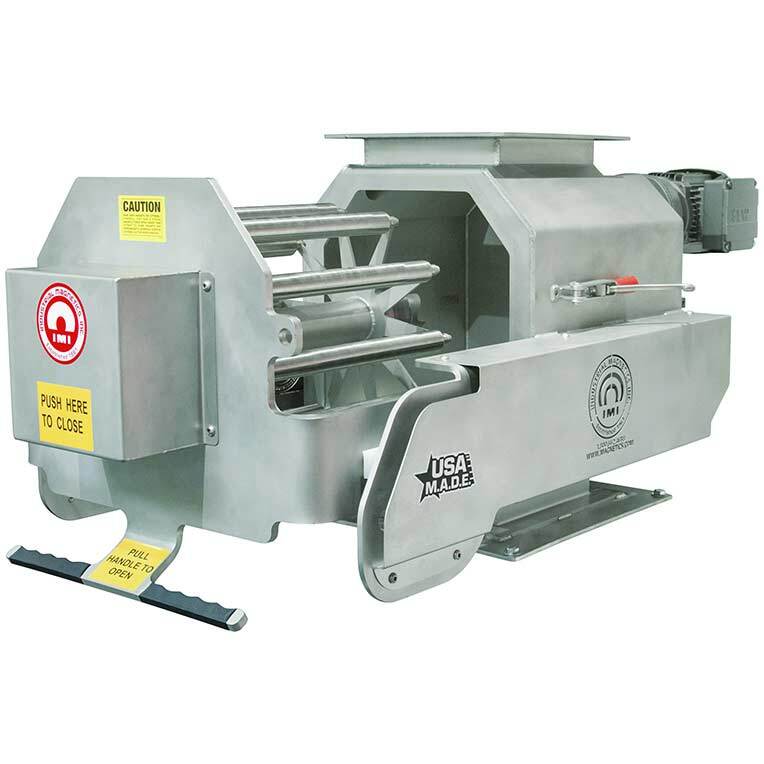 Our Self-Cleaning model automates the cleaning process and requires little to no operator intervention.